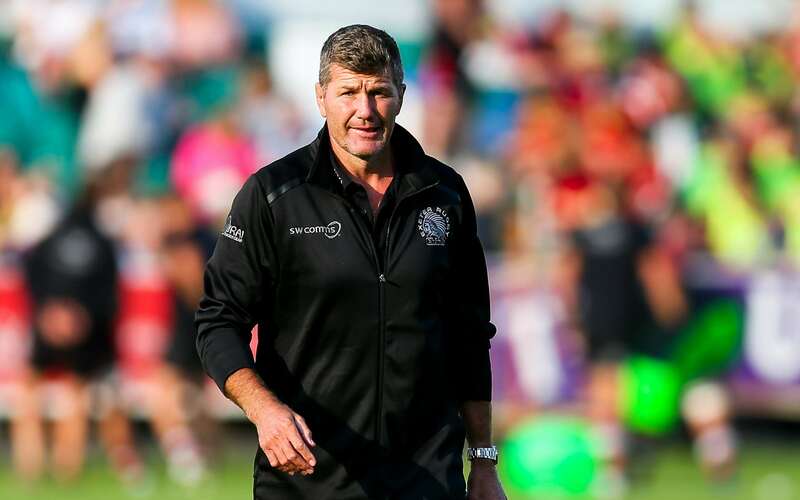 Rob Baxter will tell you that his retention plans often outweigh that of a huge recruitment drive, such is his desire to ensure that continuity runs smoothly for both him and his players at Exeter Chiefs. Having already ensured a number of the club’s star names are locked down for the next few years, the Chiefs Director of Rugby has spoken of his delight after two more first-team stars pledged their immediate futures to the Gallagher Premiership club. Forwards Alec Hepburn, 25, and Jonny Hill, 24, are the latest to put pen to paper, both agreeing terms on two-year contract extensions that will keep them at Sandy Park until at least the summer of 2021. They follow in the footsteps of England quartet Jack Nowell, Henry Slade, Luke Cowan-Dickie and Ollie Devoto, together with Olly Woodburn, in extending their stay by a further two years, while Phil Dollman has signed up for an extra season. Hepburn has already won six caps for England, while Hill was included in the England tour party to South Africa last summer but did not make a Test appearance. “The key thing about those two guys is they are becoming integral members of what we like to think is a very competitive pack of forwards, both in the Premiership and in Europe,” said Baxter. “They are both young, which is fantastic, they are either international quality, or close to international quality with Jonny, and we see them both improving and developing. “Jonny, with the last 12-week block when he was out with his finger injury, has been fantastic with his physical development, and that is still improving, and Alec is gaining international experience, and the experience he is getting from playing in numerous Heineken Cup campaigns and Premiership games, and to watch them and listen to them talk, to hear the vibrancy of them wanting to get on the field, and take part in big games, is just fantastic. Baxter added: “We have got confidence in the players already at the club because they are good guys, and it is a two-way street. “We have confidence in them because they work hard and perform well for us, and they buy into what we want to do, and when you have players like that, the one thing you don’t want to do is keep stripping them away. “You have got to work very hard to keep them here, and we do that in a couple of ways. With the new contracts already announced, and more in the pipeline, plus a handful of new signings, Baxter is putting together a very strong squad for the 2019-20 campaign. “I think it is important, if you want to slowly improve your game, and that is what we are aiming to do all the time, (to keep a core group of players together),” said Baxter. “People have highlighted Europe as one of our areas of continuing development. Well, I think we are improving and we are gaining fantastic experience. Travelling over to Munster and watching the performance of the lads in such a tight and big game, it kind of shows you we are slowly getting there. “I want to keep that group of players together and developing and experiencing those things for as long as I can, because ultimately that will allow us to turn over some of those big games when it really matters.